On the top right, click on Login. #2. Enter your email that you use in the directory. Click on Lost Password. You will receive an email to reset your password via Wild Apricot (our website host). Follow the emails instructions to reset your password (just like any other website). We do not have access to your password so please make a note of it. Then go to step #3. #3. 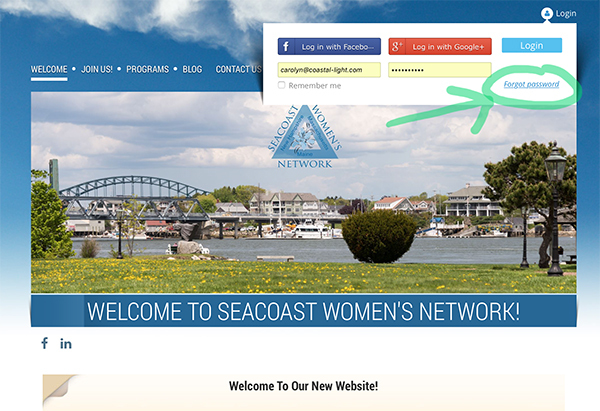 Enter your email that you use in the directory and your new password. 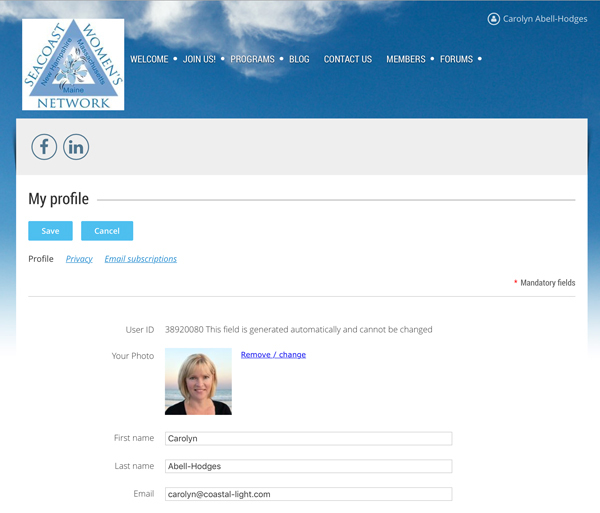 You will now see your name at the top right of the website. #4. Click on your name, then click on View Profile. #5. This is where you pay your dues (see #7 below). To update your profile, click on Edit Profile to make changes. #6. Make any changes to your profile here. Please upload a photo as well! 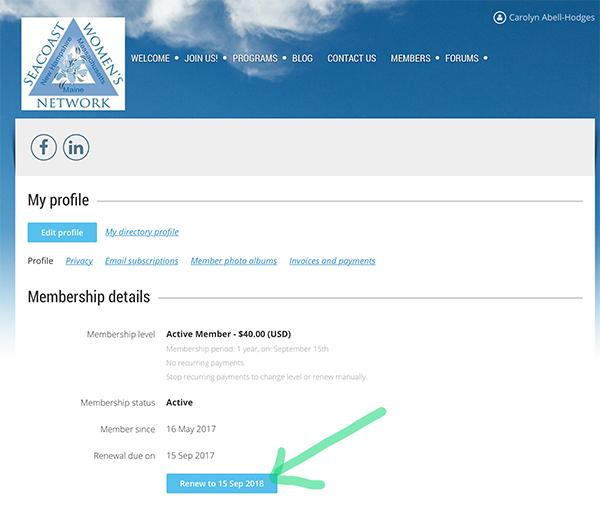 It's easier for other members to find you and remember you! #7. 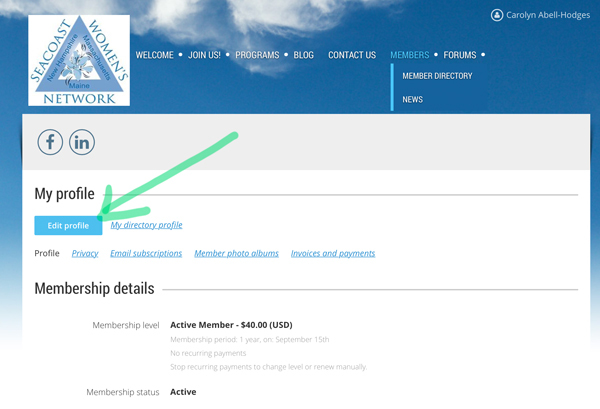 Pay your membership fee here. You will need to pay your dues here in September. ****If it is PAST September 15th - you will see a Lapsed status. Just pay your dues and then you will be current again. 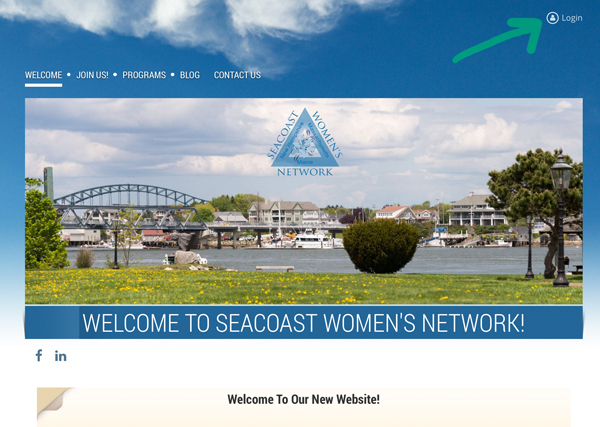 © Seacoast Women's Network, (a 501(c) non-profit organization). All Rights Reserved.